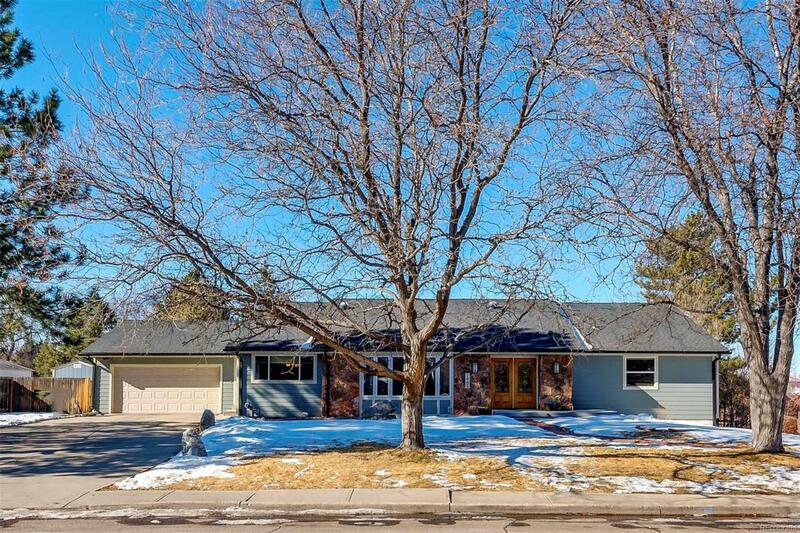 Gorgeous Remodeled 4 Bedroom, 4 Bath Ranch with over 4,500 square feet and a finished walk-out basement. Prime location near Lee Gulch & Highline Canal trails, Award Winning Littleton Schools and Downtown Littleton! Light and Bright Open Floorplan with beautiful hardwood floors! Updated Kitchen with newer stainless steel appliances, maple cabinets, granite counters, and eating area! Formal Living Room, Dining Room, Main Floor Office and Beautiful Great Room with slate tile fireplace! Large master Suite with walk-in closet and 5 Piece bath! Huge walk out basement with entertainment room, craft room, exercise area & additional non-conforming bedroom! New Exterior Siding and Triple Pane Windows on main floor! Charming Backyard with New Covered Patio and Firepit Area offering in indoor/outdoor living experience with amazing sunsets and mountain views. The Perfect home for entertaining friends and family! Don't miss out on this amazing home!! !